My 5 Favorite Gluten Free Beauty Products! Living in a city where food is one of the many attractions and distinctions can be one of the best places to be. Deep-dish pizza, Italian sausage and the many food festivals are only a few things I can get just steps away from my home. The only problem is living gluten & dairy free in the midst of all this scrumptious temptation. Living gluten free for about three years has restricted me but also has heightened my health awareness. Spending years of researching how food can affect your body is interesting but thankfully, many companies are now making gluten free goodies that I thought I would never be able to eat again. But, just as soon as I took a bite from my gluten free doughnut, I realized just how much this protein could affect my life. Interested in beauty, I found that gluten is found in most products such as, shampoo, conditioner, make-up, facial cleansers, toners – the list goes on. And, while I thought I was on the right track it took months to find that my products were making my skin itch, literally. After much research I found some tips and brands for your to try! Now, many brands will claim to be gluten free but be careful because they may use the same equipment for products with gluten, which causes cross contamination. This happens a lot with large companies such as CoverGirl, Johnson & Johnson and Neutrogena. Lets check out a couple of my favorites! 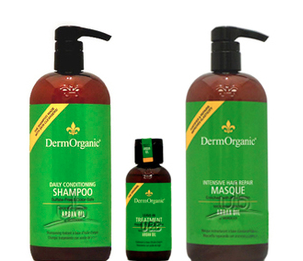 DermOrganic Shampoo & Masque Conditioner. I have been using these products for a couple years now and they are amazing! These products are available online and at selected Marshalls and Nordstrom Racks and not too expensive! They are gentle while still leaving a clean feeling. They are vegan, do not use animal testing, use no artificial preservatives, sulfate & gluten free, use no sodium chloride, parabens, mea, dea or dyes. They also are have hair products and skincare but the Aragon oil serum is my favorite! 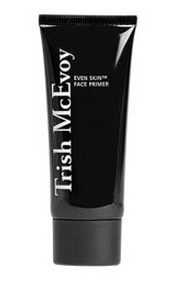 Trish McEvoy ‘Even Skin’ Face Primer. It is soft and a great primer to use before using a mineral based foundation. It is dermatologist-tested, not tested on animals, and paraben and gluten free. It can be purchased at here. 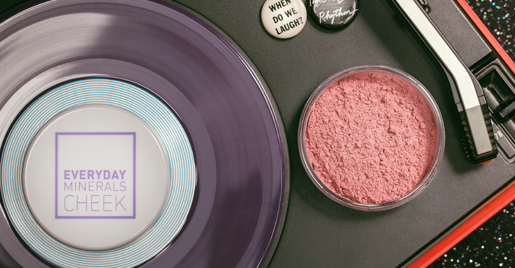 I love using mineral makeup because it is light and great for our skin! My favorite brands are Everyday Mineral and Alima Pure! 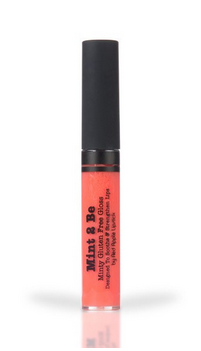 They are both inexpensive and also have samples that can be ordered to test! The mineral foundations are my favorite! 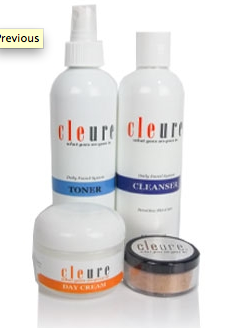 Skincare is very important and my favorite combo is from Cleure. The combo comes with a daily cleanser, toner and moisturizer that will not clog pores. Products are salicylate free, gluten free, paraben free, hypoallergenic, animal cruelty free and made in the USA. LIPS! For beautiful luscious lips I stick with Red Apple Lipstick! My favorite color is Fuzzy Navel. For more information or to discover more fun products follow Gluten Free Makeup Gal! This is where I started and continue because she comes out with lists each year that are confirmed gluten free. Hope this helps! *Photos were taken from the websites of DermOrganic, Trish McEvoy, Everyday Mineral, Cleure & Red Apply Lipstick!